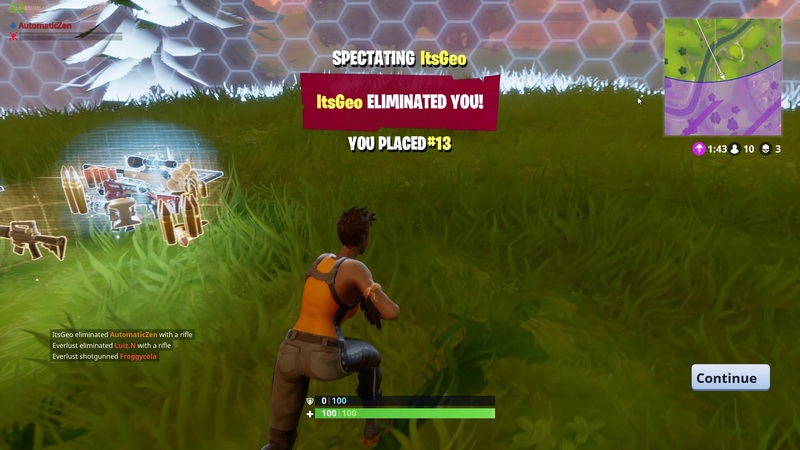 Fortnite Battle Royale, a spin-off from the main game, pits 100 players against one another to crown one as the winner. In this Fortnite Battle Royale guide, we'll be walking you through the best Battle Royale weapons, as well as all the Fortnite Battle Royale tips and tricks you'll need to emerge as victorious. Plus get all the info on the best weapons in Fornite Battle Royale. Although Fortnite Battle Royale is still in early access, it's just surpassed 40 million total downloads as of January 2018. We'll be updating this Fornite Battle Royale guide with all future changes and announcements from Epic for the game, including the recent reveal that there would be no new maps coming to the game, or vehicles. Elsewhere we've got all the details on Fortnite Season 3's Battle Pass. In this Fortnite Battle Royale tips guide, we'll be going over the very basics of the game, such as how the eye of the storm feature works, as well as getting to grips with the island map that the Battle Royale mode takes place on. If you're looking for the Fortnite Ice Cream Truck Locations, we've got those too. If you're new to the game, perhaps playing Fortnite Mobile, know that all these tips are for all versions of Fortnite Battle Royale. The mobile version of Fortnite is now out in the wild for players to take on worldwide, not just in the US, Canada, and China where it initially launched. For all the tips and tricks you need on how to master the mobile version of Fortnite, head over to our Fortnite Mobile guide. In a survival simulator like Fortnite Battle Royale, weapons are of paramount importance in order to make it to the final 10 players standing. As such, you need to always be on the lookout for the most powerful weapons and other items in the game, and there are some clever ways to tell which items you should prioritise over others. For a start, the loot items in Fortnite Battle Royale are color coded, according to rarity. Plain/grey items are common, while the rest of the item colors from common to rare are green, purple, and gold. In other words, whenever you come across purple or gold items in Fortnite Battle Royale, you want to make way for them in your limited inventory. Green, purple, and gold weapons will always have perks and other bonuses that the more common versions of the same weapons won't have. For example, a common assault rifle won't have a scope, and will be less accurate, while the green, purple, or gold varieties of the assault rifle will be more accurate, and will likely come with a scope. Aside from this color coded rarity system, we've got some general advice to give on the Fortnite Battle Royale best weapons in general. Sniper rifles in the game are unmatched in power, as they can actually kill someone without a shield in a single hit in the upper half of the body. As you might imagine, shotguns are also one of the more powerful weapons in Fortnite Battle Royale, and they actually have some decent range on them, meaning you don't necessarily have to get up close to a player for the shotgun to inflict some serious damage. The basic rule of Fortnite Battle Royale is always prioritise weapons based on rarity and damage, especially considering you've got a maximum of five inventory slots to use up. Always make sure to leave some room for healing items like bandages and health kits as well, as you don't want to be stuck in a firefight with no way to heal your wounds. 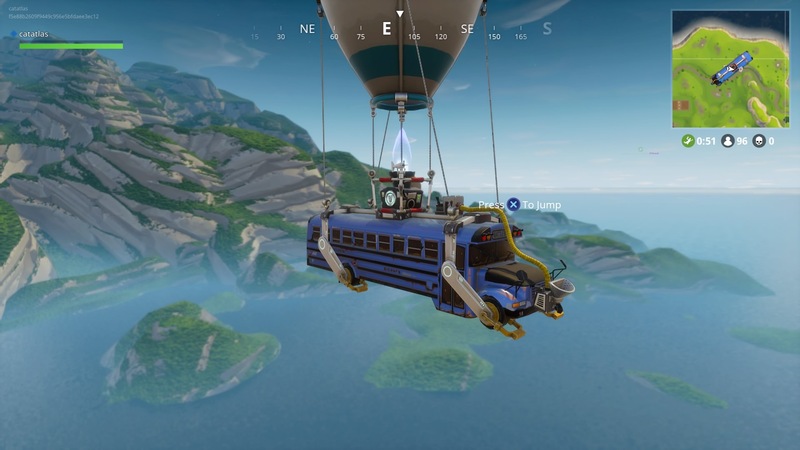 At The Game Awards 2017 a brand new limited time game mode, 50v50, was announced and released for Fortnite Battle Royale. 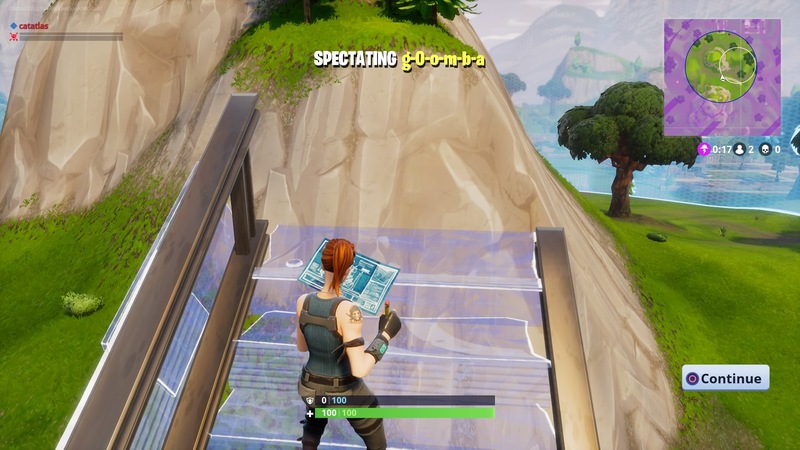 As the name suggests, the new 50v50 mode puts a team of 50 players against another team of 50 players in the huge Fortnite Battle Royale map - instead of the usual every person for themselves gameplay style. 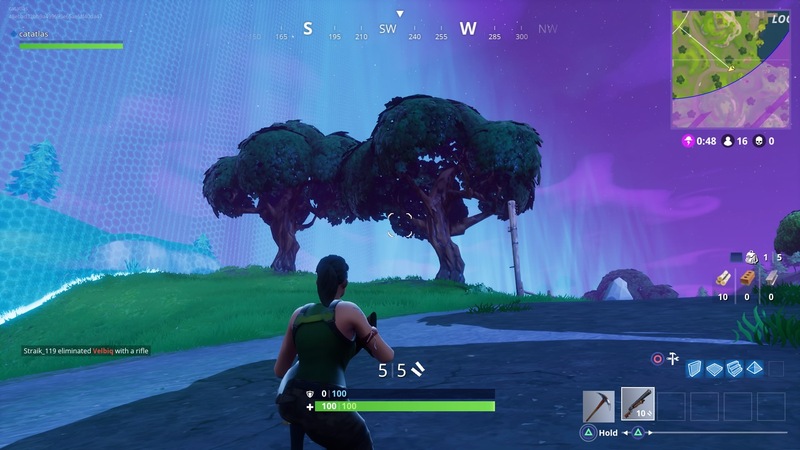 Unfortunately the 50v50 mode has now drawn to a close, ending back on December 17, 2017, but should it reappear in the game at all in the future, you can be sure to read all about it here. The next limited-time event for Fortnite Battle Royale is the Sneaky Silencer event, which kicked off back on January 5 and ended on January 8. The event featured the silenced pistol seen just below, which you'll be able to find in chests, supply drops, or floor loot, in Epic or Rare varieties. On top of the new silenced pistol, the Sneaky Silencer event will feature an increased number of bushes dotted around the map, which players have taken to hiding in to disguise themselves in the environment. 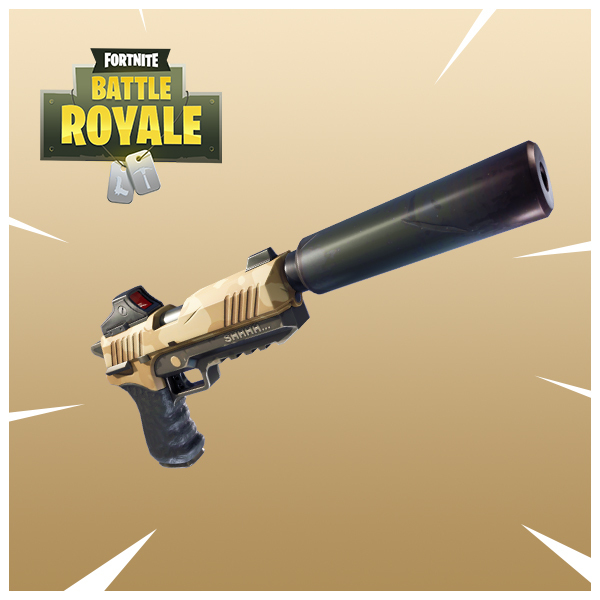 Although we don't yet know what date the Sneaky Silencer event will end on, you might want to delve into it before Epic eventually closes it. Each and every week, we'll be breaking down all the brand new Fortnite Weekly Challenges, available for Battle Pass owners to take on every Tuesday. 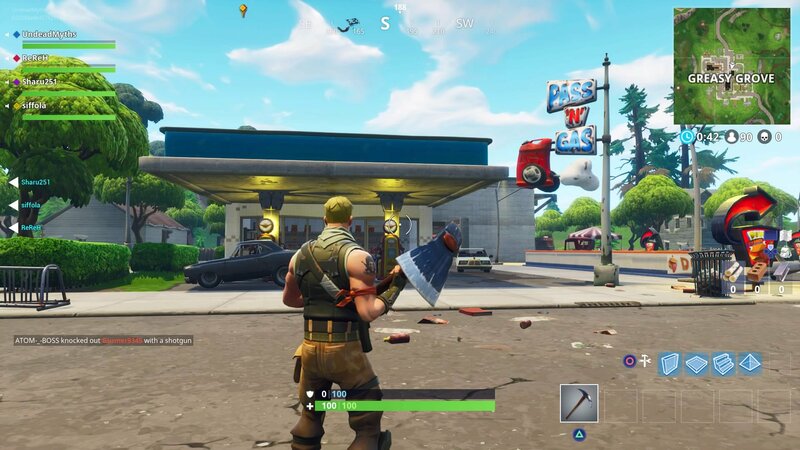 We'll be walking you through how to complete the most complex challenges, from treasure hunts and the locations of hidden buildings like Gas Stations, all the way to taking out players with certain weapons like the Pickaxe. This might bring an end to our Fortnite beginner's tips and tricks guide, but make sure to keep this page bookmarked, as we'll be updating it each and every week, as soon as brand new weekly Challenges are available for the Battle Pass holders.